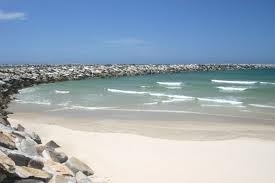 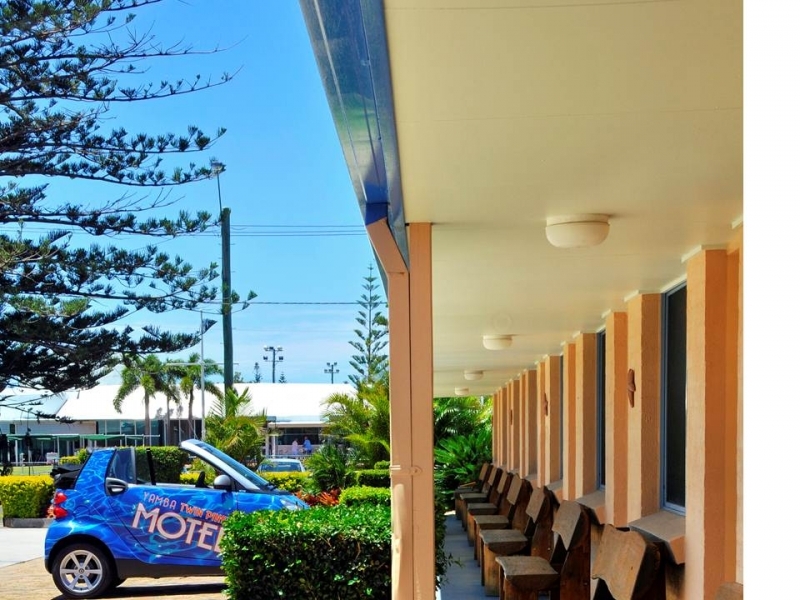 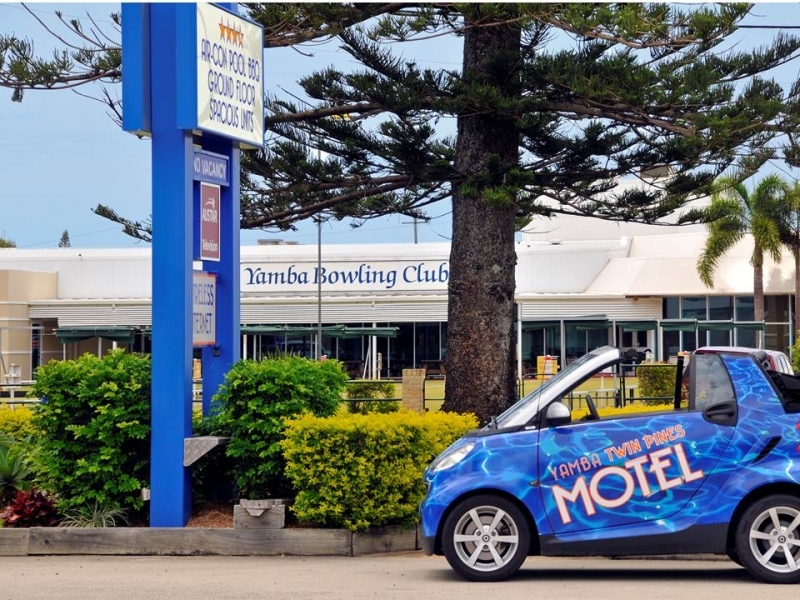 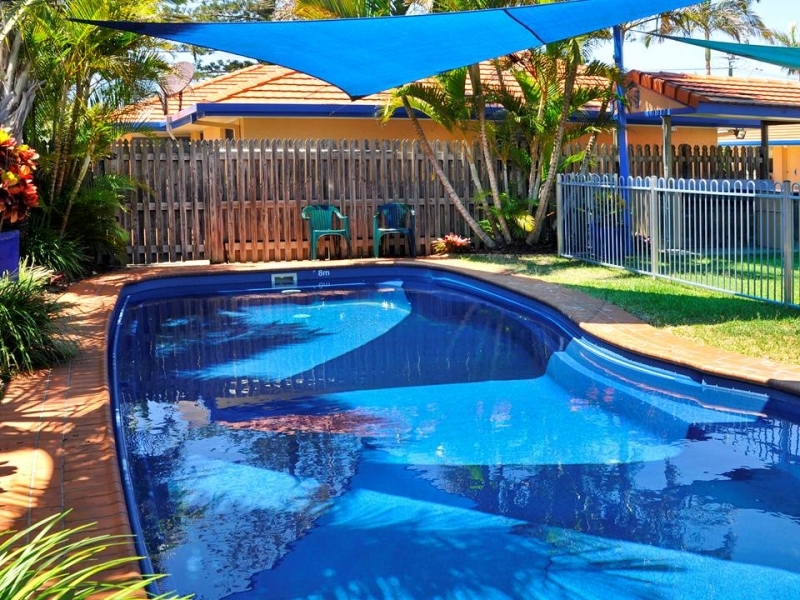 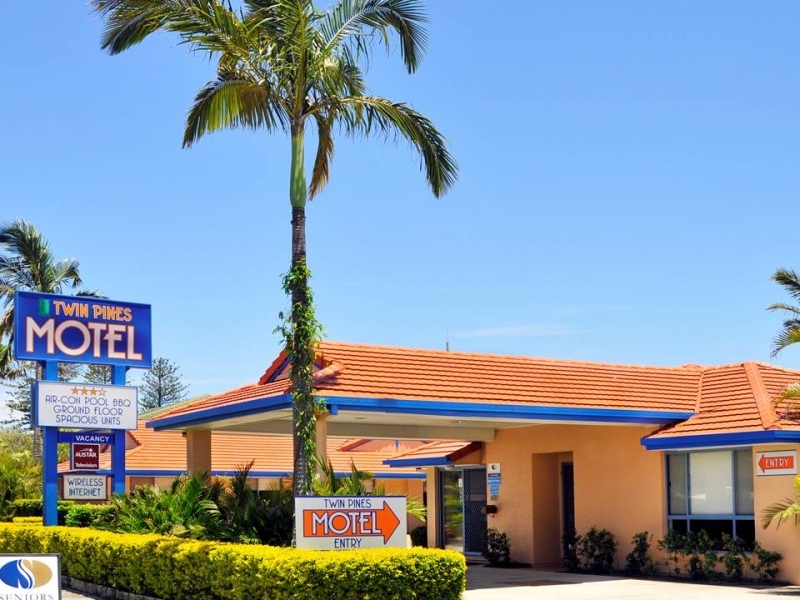 YAMBA TWIN PINES MOTEL "THE BEST LOCATION IN TOWN, ""THE CLOSEST TO THE BOWLING CLUB,"AAA RATING OF 3 1/2 STARS"". 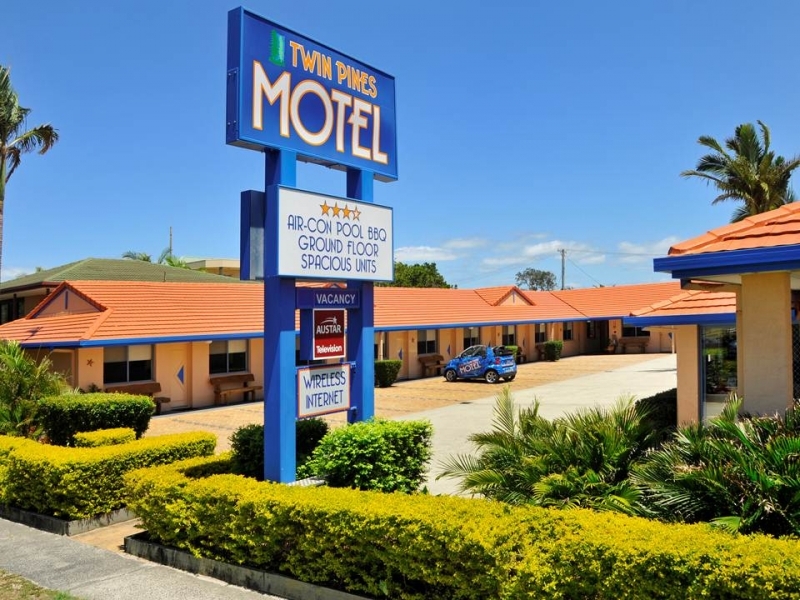 Located in the heart of town, Twin Pines is the closest Motel to Restaurants, Bowling & Golf Clubs, Beaches, River and Shops, all within an easy 5 minute walk. 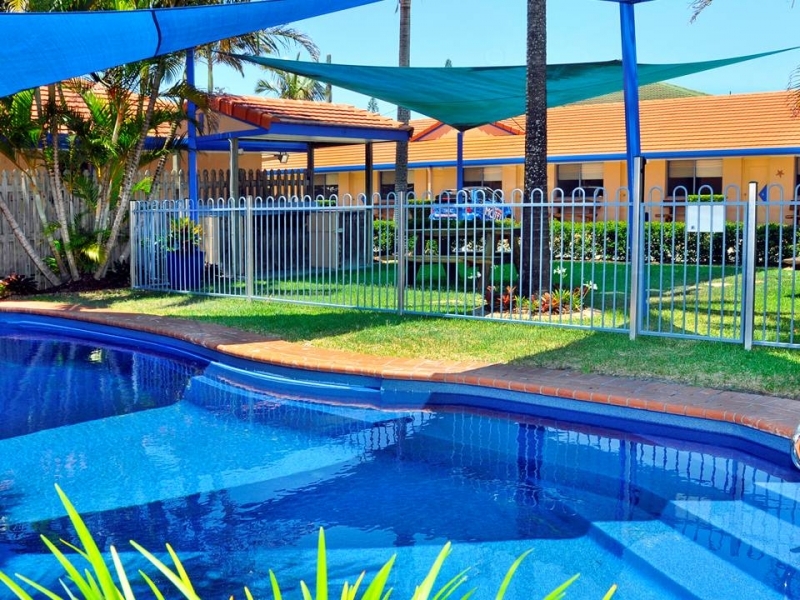 The units are ground floor (no stairs) with parking close to door, units are spacious with large ensuites walk in showers and air-conditioned, all rooms have a queen bed, we also have rooms to accommodate up to six guests, all rooms have a kitchenette, with well appointed modern facilities,including FREE AUSTAR AND FREE WIRELESS INTERNET.The beautifully appointed gardens include a tropical pool and BBQ area. 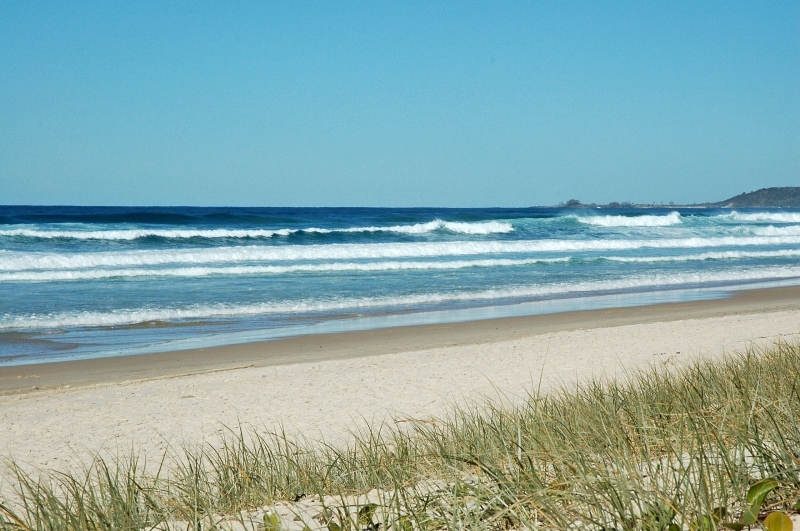 A disability unit is available.